Natural antioxidant made from Tocopherols from Non-GMO vegetable oil. Oxabiol® feed is an excellent product to protect lipid compounds, increasing product shelf life and preserving its freshness and active ingredients. Oxabiol® feed is a 100% natural product, available in different concentrations and formats (liquid or powder). It is a unique product developed exclusively by BTSA. The high antioxidant power of Oxabiol® feed is the result of the synergy between its active ingredients, which are naturally present in the product. Oxabiol® feed provides stability to fats, oils and meat or fish flours, as well as other components that incorporate pigments, vitamins or fatty compounds susceptible to oxidation, increasing the shelf-life of products. 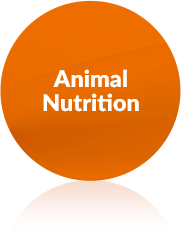 Have any question about OXABIOL® feed?